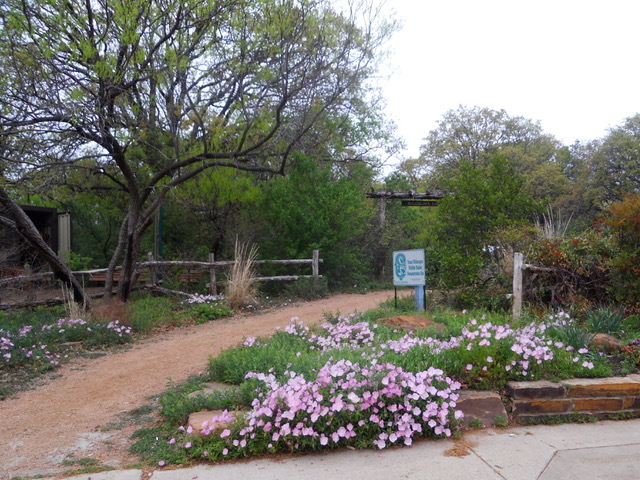 The Molly Hollar Wildscape, located in Veterans Park, Arlington, TX was started in 1994 by the Arlington Conservation Council and Arlington Organic Garden Club to honor native plant member, Molly Hollar. This special 4 acres section of the park is set aside to preserve the native Eastern Cross Timbers ecosystem that once dominated the area prior to development. Volunteers from many organizations including the North Central Chapter of the Native Plant Society of Texas continue to work to preserve and maintain the park and educate others about native plants and habitats.